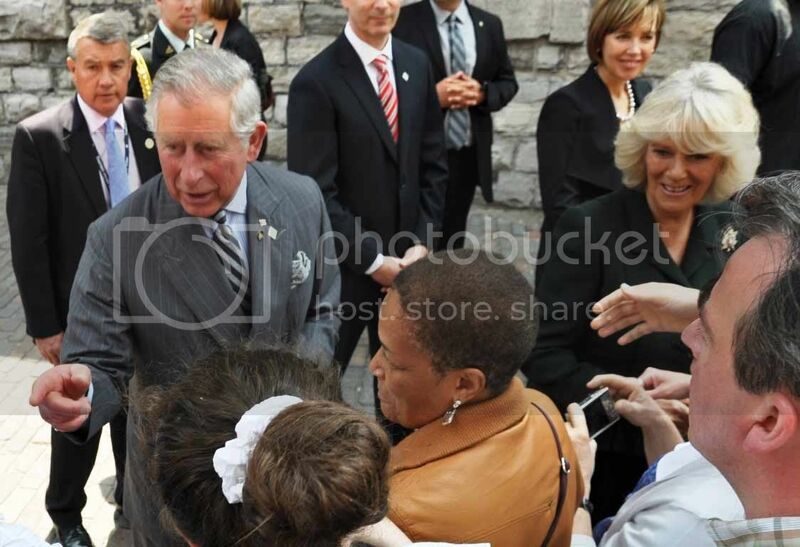 It was a Royal Affair here in Toronto today with Prince Charles & Camilla gracing our City with their high presence, their latest Stop-off as part of their Canadian Tour. Charles & Camilla landed in Toronto last night, enjoying the Victoria Day Fireworks at Ashbridges Bay. They are here in honour of Queen’s Diamond Jubilee, marking Her Royal Highness’ 60th year of Reign in Canada. Today's Itinerary began at Queen’s Park where Onlookers crowded with their Cellphones on Camera Mode for a glimpse of them and their Convoy. The Royal Couple also attended a Ceremony presenting Diamond Jubilee Medals to Recipients who dedicated themselves to the service of fellow Canadians. 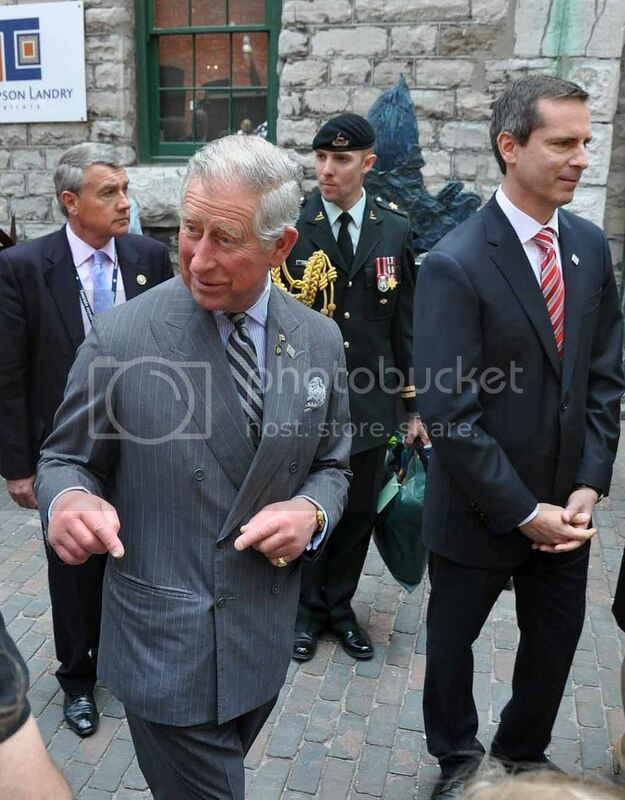 After separating quickly as Charles headed to Ryerson University and Camilla to the Moss Park Armoury, they reunited for a quick Luncheon in celebration of the Diamond Jubilee at the Distillery District, emceed by CityTV’s Dina Pugliese and hosted by Ontario Premier Dalton McGuinty. McGuinty told the Couple, “When you visit us, we clearly see for ourselves your dedication to humanitarian causes and your unflagging service to others.”. Later in the day, they visited the Fort York Armoury, commemorating the War of 1812’s 200th Anniversary. 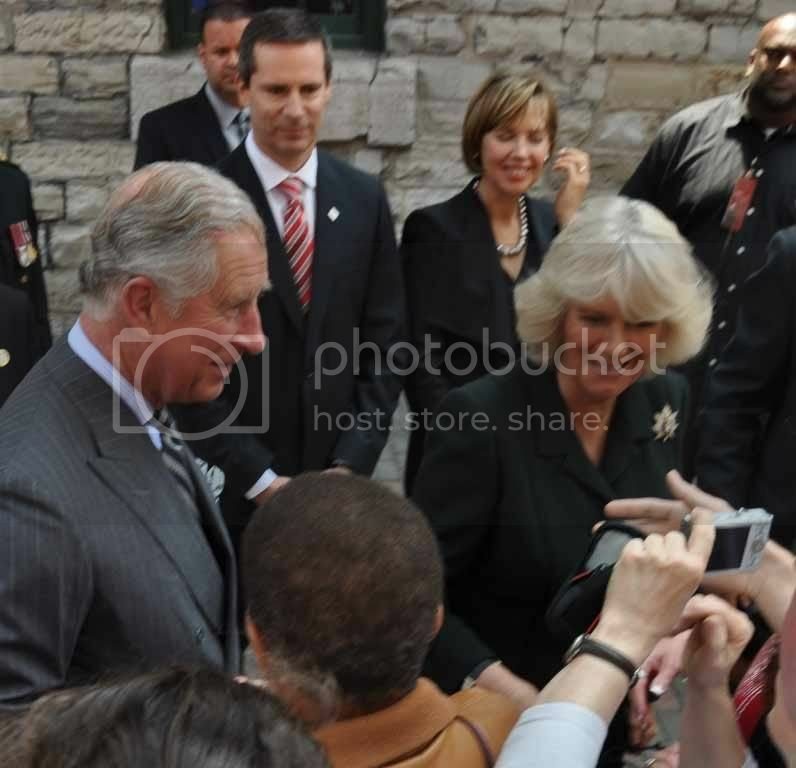 Prince Charles & Camilla are scheduled to land in Regina for the next leg of their Canadian Tour tonight at 9 PM CST. A special thanks goes to the wonderful Tyrone Kerr who sent these Photos generously from earlier today, snapped in the Distillery District.